Gżira United booked a place in European competitions when they beat Floriana courtesy of an own goal by the Greens' left back Arthur Oyama. 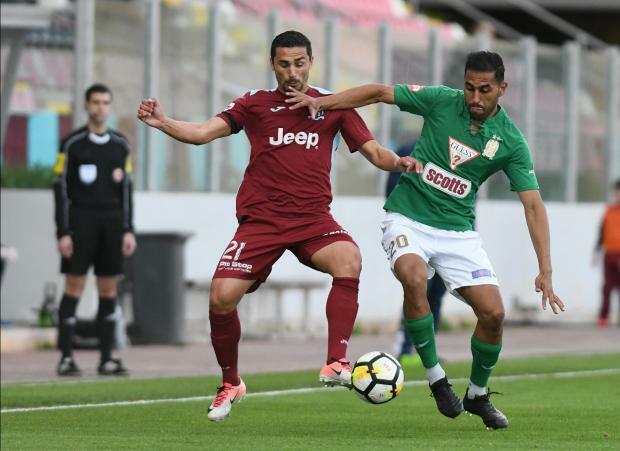 Gżira needed a win to secure qualification after their rivals Ħamrun Spartans and Sliema Wanderers both failed to beat Balzan and Senglea respectively. The Maroons found themselves 1-0 up in bizarre circumstances when a low cross by Sacha Borg into the box had the apprehensive Oyama trying to flick sideways to corner, but in so doing, placed into his own net. Floriana, naturally, were stunned at having conceded yet another soft goal. Oyama tried to make amends but his shot from the edge of the box but deflected into corner by Rodolfo Soares. Gżira started piling the pressure and on 34 minutes, Ini Akpan had to dive to somehow block on Garba. Time was gradually running against the green-shorted men and in their favour. At death, Alex Cini floated a dangerous ball across the face of goal which found no takers and then Haber pulled off another great save on Oyama. Floriana finally surrendered when Emerson Marcelina’s free-kick finished over the bar. Roderick Briffa of Gżira United was named BOV Player of the Match.